Did you know that the Romans used only seven letters to represent all the numbers? Well, the Fourth grade at Assumption Catholic School does. 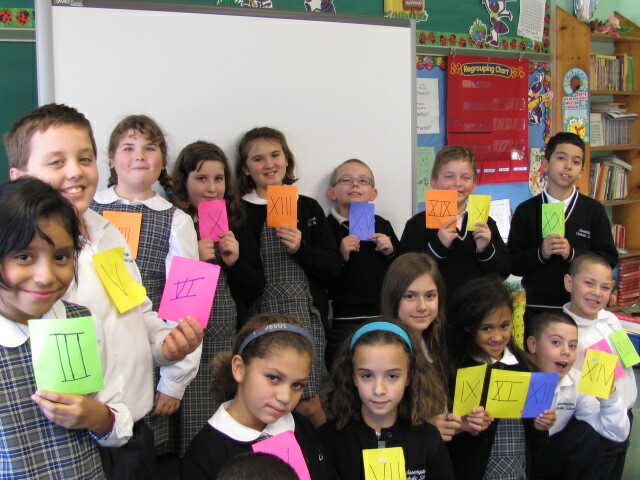 Today the students learned all about the history of Rome and the Roman Numerals. They read about it, then worked with the numerals in Math and then wrote about the history in Grammar. They received information from every angle. No pun intended.